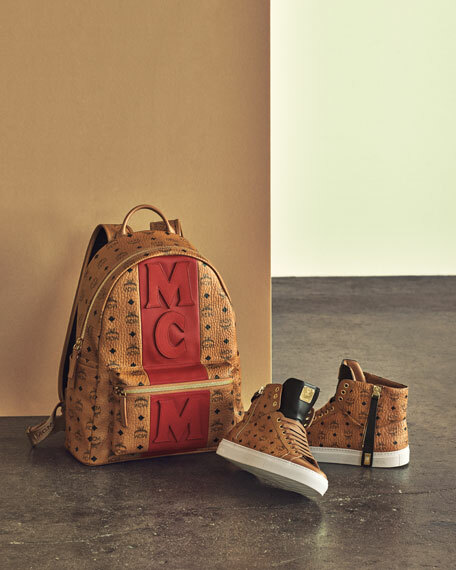 MCM high-top sneaker in Visetos monogram print on coated canvas. Individually numbered logo plate at tongue. Outer side zip with turn-lock strap. 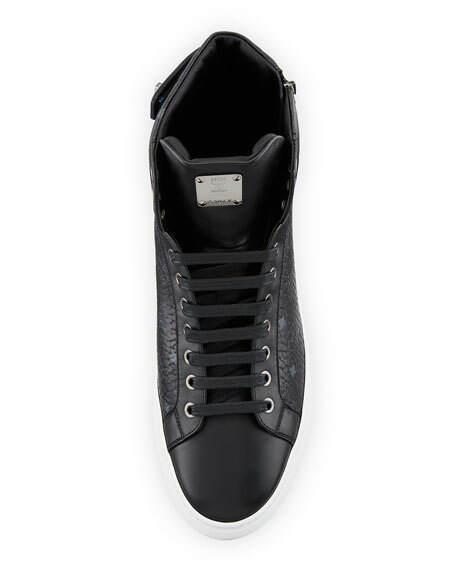 Dsquared2 high-top sneaker in calf and lamb leather. Round perforated toe. Lace-up front. Canadian maple leaf appliqués at side. 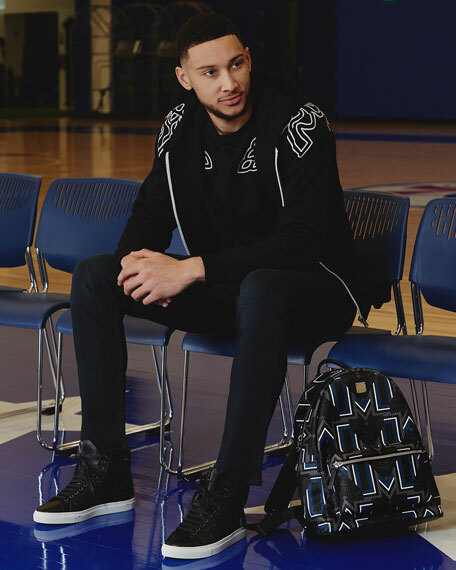 Logo stripe at side. Padded leather collar. Cushioned insole. Rubber outsole. Made in Italy. 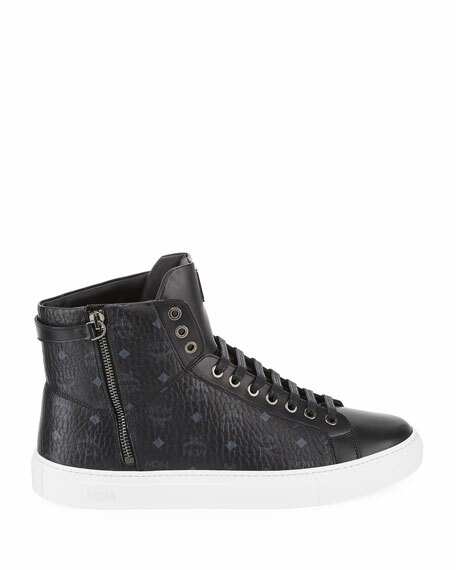 Giuseppe Zanotti high-top sneaker in solid calf leather. Each Limited Edition sneakers are individually numbered. Polished silvertone hardware with engraved "Michael Jackson" signature. Double grip straps with Swarovski® crystal embellishments. Lace-up front. Round toe. Signature dual side zips. Logo patch at tongue. Rubber outsole. Made in Italy.